This modern Safavieh Courtyard area rug will instantly improve any room you place it in. Keep it classy, quality, and stylish with this indoor/outdoor rug made from plush synthetic material. This rug is comfy, machine-made, and stylish. Bring this geometric patterned blue rug into your living spaces for a contemporary design aesthetic. This Safavieh Courtyard area rug is sure to add to the modern dicor of any home. Bring this high quality plush synthetic indoor/outdoor rug into your home to upgrade your interior design immensely. High-quality and high fashion, this machine-made rug is perfect for you. This contemporary grey rug has a lovely geometric pattern for an impressive look. This unique and stylish Safavieh Courtyard area rug will tie any room together in your home. Made from plush synthetic material, this indoor/outdoor rug is high quality and extremely fashionable. The machine-made construction of this area rug is sure to withstand wear and tear. You and your guests will enjoy the lovely geometric pattern that decorates this grey rug. 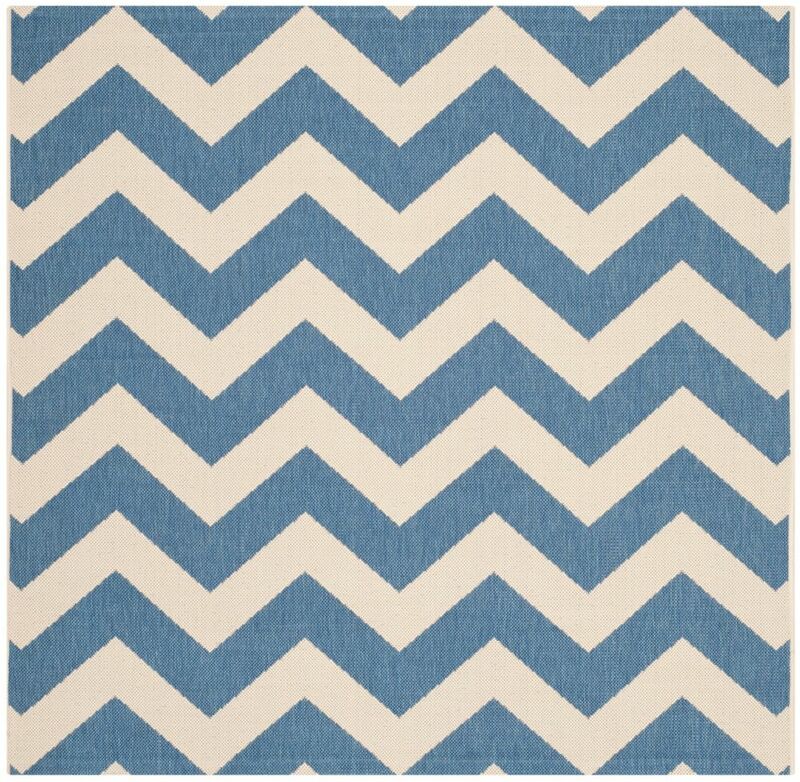 Courtyard Jax Blue / Beige 7 ft. 10 inch x 7 ft. 10 inch Indoor/Outdoor Square Area Rug This modern Safavieh Courtyard area rug will instantly improve any room you place it in. Keep it classy, quality, and stylish with this indoor/outdoor rug made from plush synthetic material. This rug is comfy, machine-made, and stylish. Bring this geometric patterned blue rug into your living spaces for a contemporary design aesthetic.